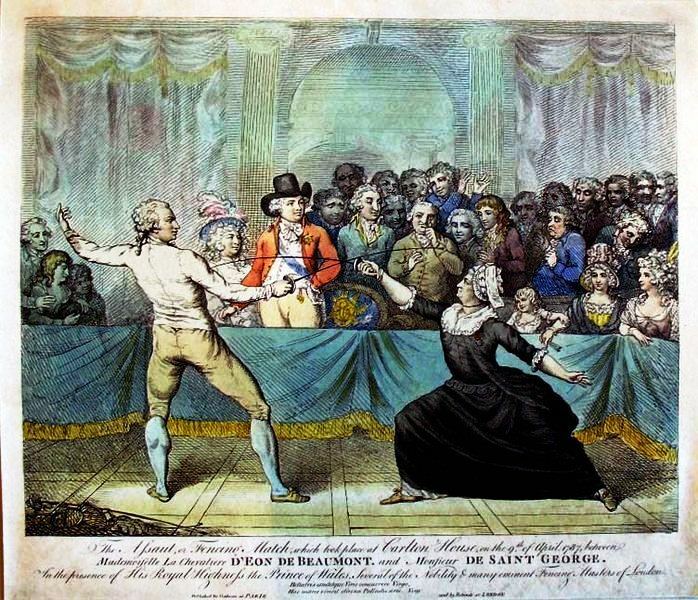 Satire of fencing duel between Monsieur de Saint-George et Mademoiselle la Chevalière d’Éon de Beaumont, Carlton House. 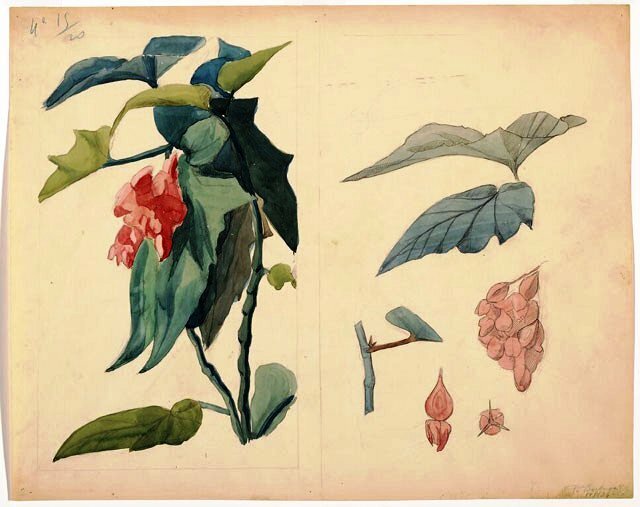 Engraved by Victor Marie Picot based on the original work of Charles Jean Robineau. Allow me to begin this post by speaking of the two Mozarts: the white Mozart or Amadeus, and the black Mozart, Joseph Bologne, Chevalier de Saint-George. When Mozart, the white Mozart (27 January 1756 – 5 December 1791), was in Paris, in 1777-1778, he was influenced by Joseph Bologne, Chevalier de Saint-George. 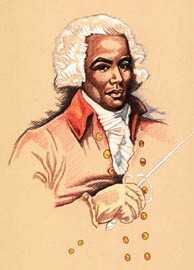 One would expect the white Mozart to have influenced the black Mozart, but that was not the case. However, the two differ in that the career of the black Mozart (December 25, 1745 – June 10, 1799) was affected by his ethnicity and the French Revolution. Three divas opposed his appointment as director of the Royal Opera because he was a mulatto. However, by then, Joseph had commissioned and premièred Haydn six “Paris Symphonies” and he had met the white Mozart, Wolfgang Amadeus during his 1777-1778 visit to Paris. It is during his stay in Paris that the former Wolfgang Theophilus, the white Mozart, lost his mother. She had accompanied him on this tour, but was taken ill and died on 3 July 1778. Wolfgang was 22 at that time and Joseph, 33. However the French Revolution all but destroyed Joseph whose patrons were Louis XVI and Marie-Antoinette. As we know, he was Marie-Antoinette’s music teacher. Marie-Antoinette composed “C’est mon ami,” a lovely pastoral song. 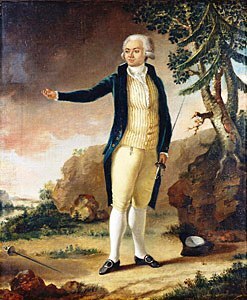 The Chevalier de Saint-George in a 1787 painting probably commissioned by the future George IV of the United Kingdom.